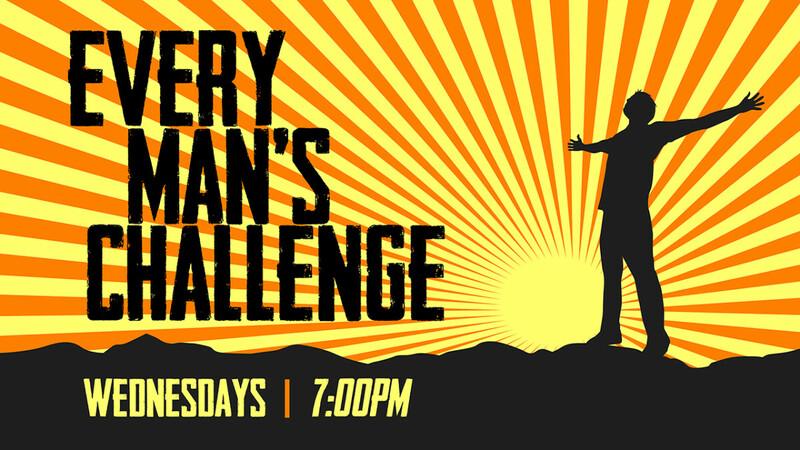 Every Man’s Challenge provides hope to men who desire freedom from their sexual sins. We believe that Jesus alone can transform a man’s heart and mind from habits and addictions because He promises that He can. Because of past sinful patterns, men have a difficult time seeing themselves apart from their sin. Shame over sexual sin drives men into despair and then makes it easy for them to believe the lie that they are stuck, hopeless, worthless, and God could never love them or accept them because of what they have done or are doing. We stress the importance of boundaries and disciplines to break up past rituals that have contributed to the sin, while at the same time encouraging men to seek God and cry out to him for mercy, grace and help. We ask God to break us in ways we never thought possible because He can. We trust Him that despite the pain of our decisions, He has the ability to rebuild a man. We support each other by never shaming someone who wants to change, but by providing a safe, confidential, and anonymous place for honesty and encouragement. The battle for the mind of a man is fierce and we want to let men know that there is hope in Christ and His power is just as alive today as it ever was. Meets in Room L101 (see map below). For more information email Pastor Larry Shoemaker at or call (909) 335-7333, x135.